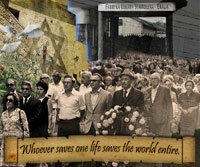 The Ghost and Israel Series were conceived on a Jewish Federation mission trip to Poland and Israel in the Spring of 2008. While in Israel, I could see a blending of the past and the present. 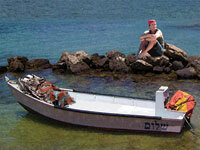 In my Israel Series, Israel’s past flows seamlessly into her present. 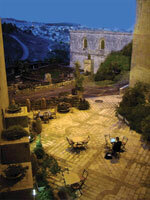 For example Jerusalem Twilight shows the intertwining of the old city and the new technology. 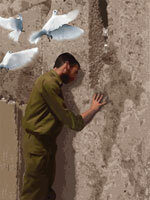 Praying for Peace illustrates the need for strength alongside the longing for lasting peace. Please click on the artwork to open a larger version of the painting, see information about the piece, and to see purchase options.